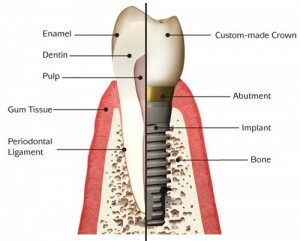 Thinking of getting dental implants in Memphis, TN? 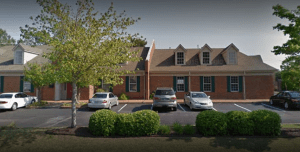 The following guide lists the top 10 dental clinics as well as what you can expect to pay for a dental implant in Memphis. Click on the profile of a dentist near you to read more about them. Led by cosmetic dentists Dr. David Ijams and Dr. Clarissa Turner, Cordova Dental offers Invisalign, dental implants, dental veneers, teeth whitening and more! The dental staff of Cordova Dental is one of the friendliest and most experienced in the area. Each member of our team is properly licensed and certified, even though the state of Tennessee does not require it for all clinical staff. Serving the greater Memphis area, Cordova cosmetic dentist Dr. Jason Collier of the Southern Dental Implant Center offers dental implants, teeth whitening, porcelain veneers, dental crowns, dentures, sedation dentistry, and more. At the Southern Dental Implant Center, our exceptional dental team is led by our three dental surgeons, Dr. Jason Collier, Dr. Paul Bland and Dr. Rebecca Mayall. Between them, they have completed extensive training in cosmetic dentistry, implant dentistry, and periodontics and have the expertise to improve your oral health and give you a sparkling white smile. We offer more than just the finest dental reconstruction services. We restore self esteem and improve quality of life for those who have experienced tooth loss due to injury, disease or other circumstances. Nowhere else will you find such a collaboration of specialists, equipped with the latest technology, all under one roof. General dentistry, cosmetic teeth whitening, Invisalign, Same Day Crowns, Dental Implants, Six Month Smile, Veneers, Botox, and State-of-the-Art Technologies including Planmeca CAD/CAM Solution, Digital X-Rays, Waterlase Dental Laser and more. Dr. Moore’s utmost priority is providing the highest quality care for his patients. He believes that every person deserves a healthy smile. While bonding, customized esthetic porcelain crowns, and porcelain veneers makes up the majority of dentistry that we do, our office treats the entire family, performing everything from routine cleanings and root canal therapy, to complete cosmetic makeovers. Dr. Touliatos started his private practice in 1964 and moved the office to its current location in 1983. He sold the practice to Dr. Parkhurst in 2004 but continues practicing dentistry one day a week. In 2014 we were joined by Dr Savage, a distinguished dentist who has 20+ years experience in the Air Force and at the VA hospital.